As a Kindle Fire owner, not all my books are bought from Amazon, sometimes I will find free books from Project Gutenberg. The book above is downloaded today, I wanted to read this book on my Kindle Fire. Then I followed Amazon’s official guide, transferred the downloaded .mobi books to Kindle storage’s Documents folder. Then the weird thing happened, I can’t find the book in my Kindle’s home screen or Books tab. 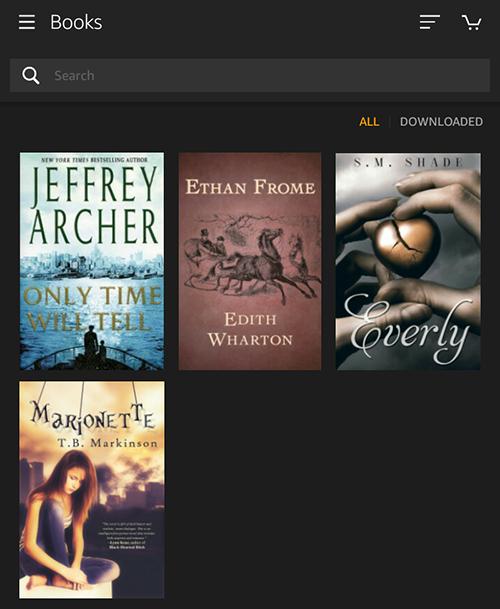 In my Kindle Fire’s Books tab I can only see my bought books, not the free book I just sideloaded. 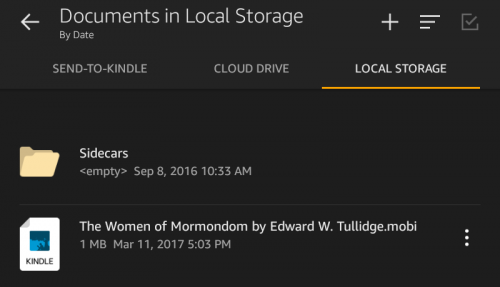 After minutes of searching, I found an app called “Docs” in Kindle Fire’s Home tab. With this app, I can browse the files saved in my Kindle Fire, so I go to the folder where I put the book. Finally, I find the book. By tapping on the file I can read the book normally. Once I read it, the book will also show up in Kindle Fire’s Recent tab. The sideloaded book won’t show up in Books tab or any other tab by default. You can find it with Docs app. Once you read it, the book will show up in Recent tab. But that’s not comfortable for me, I don’t want to repeat the steps above every time I sideload a .mobi book to Kindle Fire. 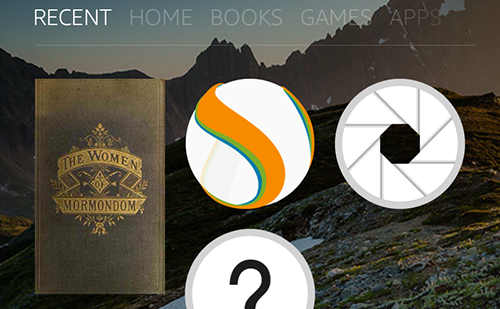 How to make Mobi book show up in Kindle Fire’s Books tab? Calibre is a freeware, you can download it here. Choose the correct version and install it. After loading the book into Calibre, you will see it displayed in the main interface, with the Title, Author information and so on. Then click “Convert books” in the top menu bar. After clicking “Convert books”, you will see many options. Look at the left side menu, switch to “MOBI Output“. Then in the right side area, you shall see “Personal Doc tag“, just like the screenshot above. The default value in this section is “[PDOC]“, what you need to do is delete it, which means, make it empty. 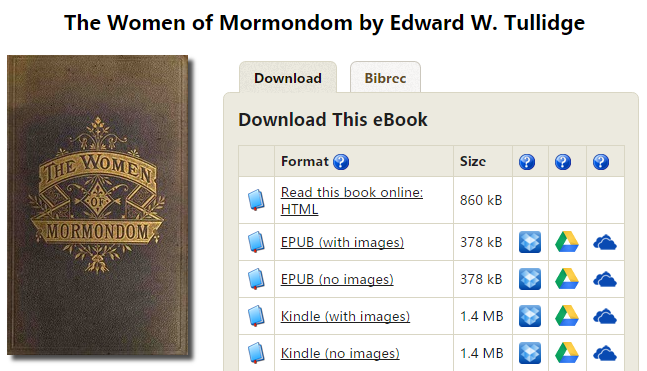 Why convert a .mobi book to .mobi again? By this step, we can make sure the deletion of personal doc tag will take effect. The output format option is located on the top right side corner. Make sure it is chosen as “Mobi”. Then click OK button, the conversion job will start. Once the conversion is finished, click “Click to open” to quickly open the folder which saves the output file. In the output path, there will be two books with the same name, you need to distinguish them with the file type. 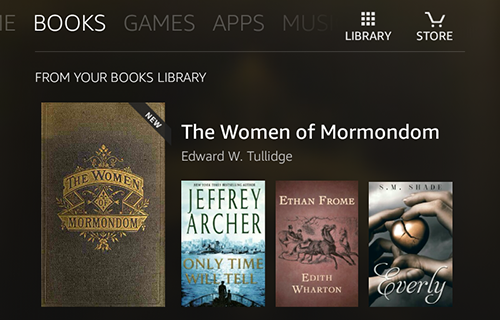 Transfer the converted .mobi book to Kindle Fire, then open Books tab. There you shall see the book. With this method, I can make sure all my sideloaded book show up in Books tab.